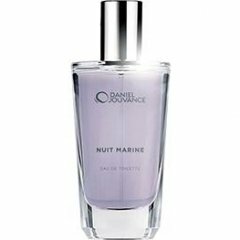 Nuit Marine is a perfume by Daniel Jouvance for women and was released in 2012. The scent is woody-spicy. It is still in production. In primary school we sometimes had heat-free days on particularly hot days. The unexpected free time was great and even if it was too warm to learn - it was never too warm to play outside. Nuit Marine reminds me of the smell of such summer heat. "Nuit Marine" literally smells of heat, glowing asphalt, shimmering air, dry grass, a brooding warm day in the country. He has a very slightly synthetic overtone for me. But that fits, because heated asphalt doesn't necessarily smell natural. Somewhat misleading I find the "Marine" in the name: here I would first suspect something aquatic, which one looks in vain, however, in this smell. In this respect, however, I was warned or better said well informed. Since I got "Nuit Marine" as part of a nice exchange package and had never heard of the smell before, I used the short waiting time to get to know as much as possible about him in advance. In the net, one finds almost nothing; but luckily, there are already some scent impressions here on Parfumo. While reading the Kommis and statements I quickly realized that there was no Aquate on the way to me and my curiosity grew. After the arrival, the packaging and the bottle made me a little suspicious. Somehow both remind me of the kind of perfume that is offered in Kaufhalle & Co... But far from it! Neither does "Nuit Marine" come from there, nor does it smell cheap. Not spectacular, not necessarily unusual. But very good if you like heat. After spraying it on, my first thought was: "He's coming on vacation!" But I quickly changed my mind, because under the southern sun I would rather have a fragrance that is refreshing and refreshing "Nuit Marine" not at all. On hot summer days in Northern Germany I still like to wear it surprisingly; even more on warm evenings. The bottom line is a successful fragrance that has won my heart in all modesty. It can stay and has been used eagerly and abundantly for weeks. Durability and Sillage are not too lavish, but as with most fragrances, you can use it to spray on the clothes (smells wonderful). The scent may be a little woody and spicy, but it is dimmed down instead of intense. "Nuit Marine" is a rather delicate, warm, subliminal and sensual fragrance that I wouldn't want to miss anymore. Write the first Review for Nuit Marine!